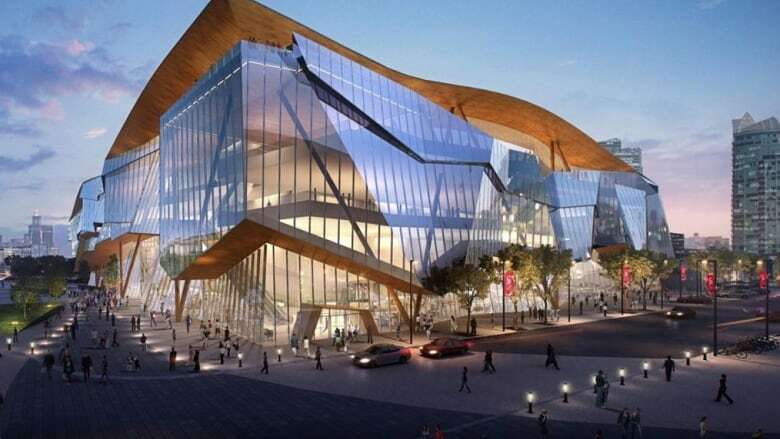 The federal money will come from the New Building Canada Fund, while the Government of Alberta and the City of Calgary are also providing $166.6 million each. The BMO Centre in Calgary's Stampede Park is set to double in size after the federal government committed $166.6 million toward the project Tuesday. 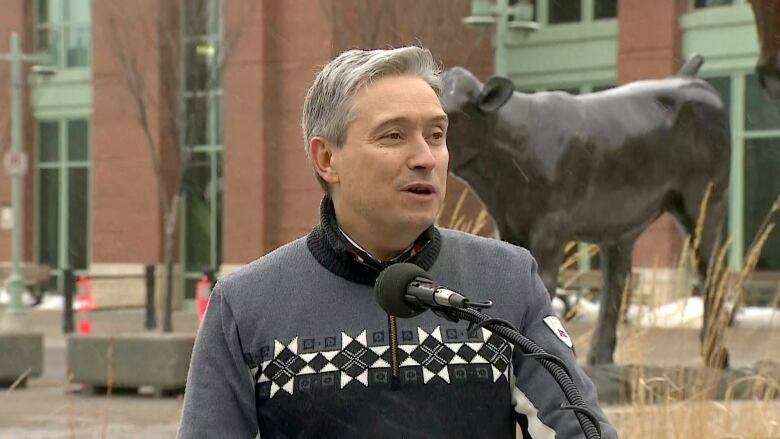 Federal Minister of Infrastructure and Communities, François-Philippe Champagne, made the announcement at Stampede Park. The federal money will come from the New Building Canada Fund, while the Government of Alberta and the City of Calgary are also providing $166.6 million each, through the extension of the Calgary Rivers District Community Revitalization Levy. The Calgary Exhibition and Stampede Ltd. has previously committed $3.9 million. The overall budget for the project is $500 million. Champagne said it is expected to create 1,800 jobs during construction, and 500 full-time positions once it is opened. The first phases of work will see a new space constructed, Hall F, at the north end, which will take about 18 months and start next month, said Stampede CEO Warren Connell. "During that time, the rest of the design on the other side of BMO — Phase 2, so to speak — will actually be completed and the permits put in place. Then we'll decommission the Corral and start construction there as well. "That's why it's such a long build. It's obviously critical to keep the current 370 shows going throughout the year." Construction is expected to be completed in time for the 2025 Rotary International Convention, which is expected to draw some 40,000 delegates to the city, said Mayor Naheed Nenshi. "It's about expanding our travel and tourism industry, it's about building the facilities that we need in order to attract the kinds of travellers, particularly convention and meeting travellers, who come here," said Nenshi. "It's about revitalizing downtown, it's about really ensuring that we're building on our natural and physical assets to make sure that we can really do a step change in how we think about travel and tourism here in our community. "It's about turning a neighbourhood of surface parking lots into a vibrant culture and entertainment district for all of us." Situated just south of downtown Calgary in Victoria Park, the BMO Centre is the largest convention centre in the city. However, its current size of 500,000 square feet limits which conventions it can accept. The $500-million expansion would bring it to more than one million square feet, allowing the city to host large conventions as a Tier 1 destination. The Calgary Stampede has previously said the venue turns down 11 to 14 large conventions each year.